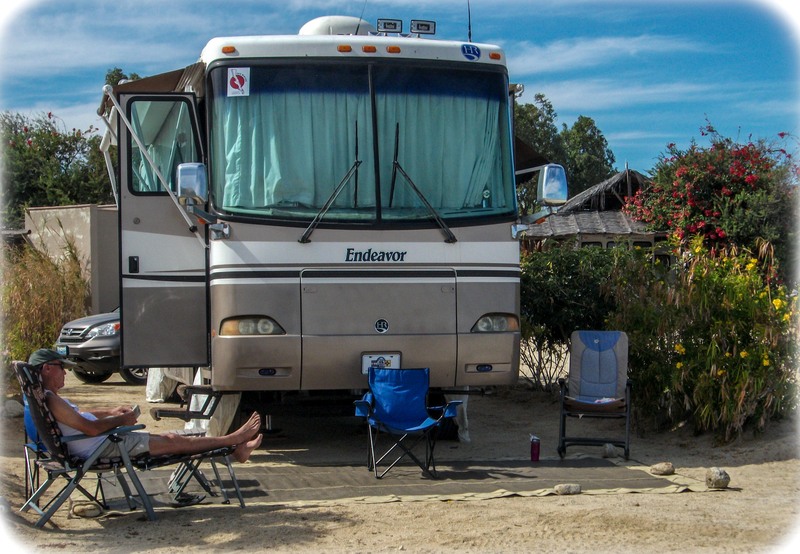 Our Baja Winters Caravan http://www.bajawinters.com took us to the Playa Norte RV Park in Los Barriles Baja California Sur. The owner William welcomed us and saved several beachfront sites for our group. From this point of the trip we were each on our own. The caravan leaders left us to do what we wanted for the next 18 days. 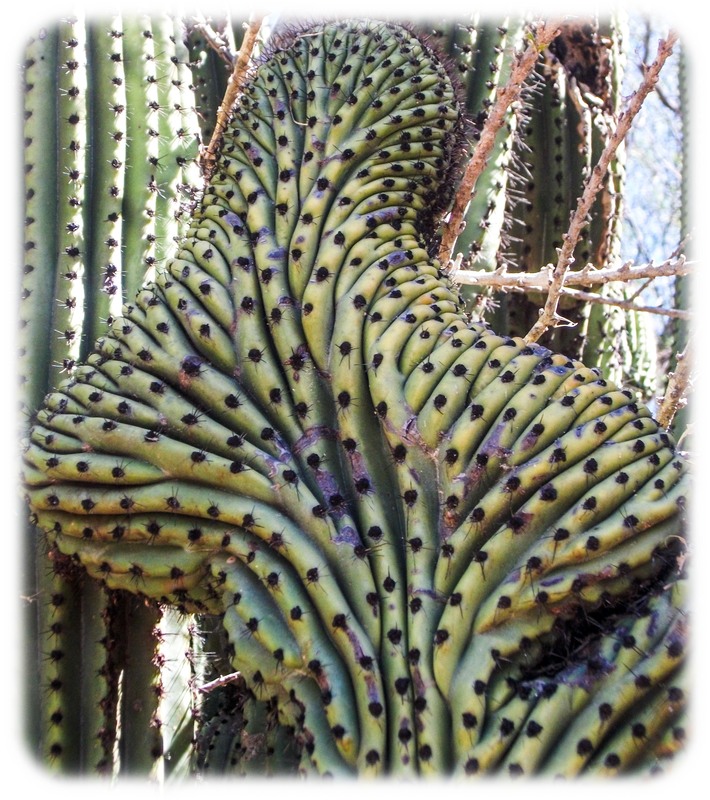 Several members ventured out to Cabo Pulmo, Todos Santos and Cabo San Lucas. 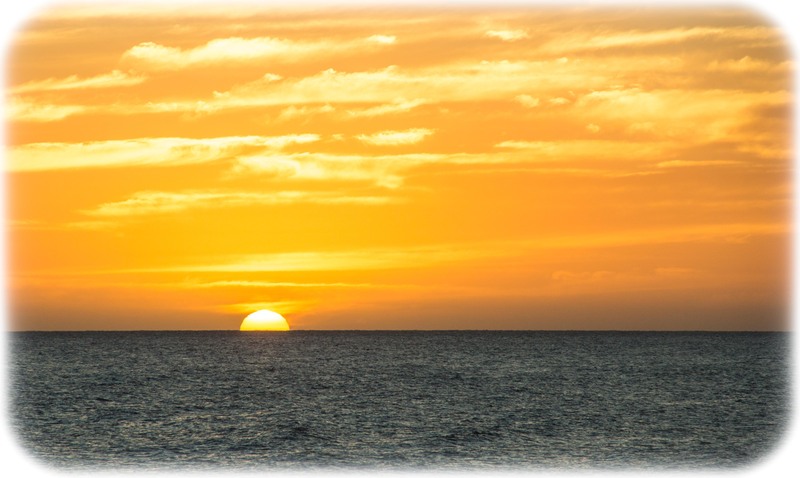 Many of us fell in love with the beach and stayed at Playa Norte. 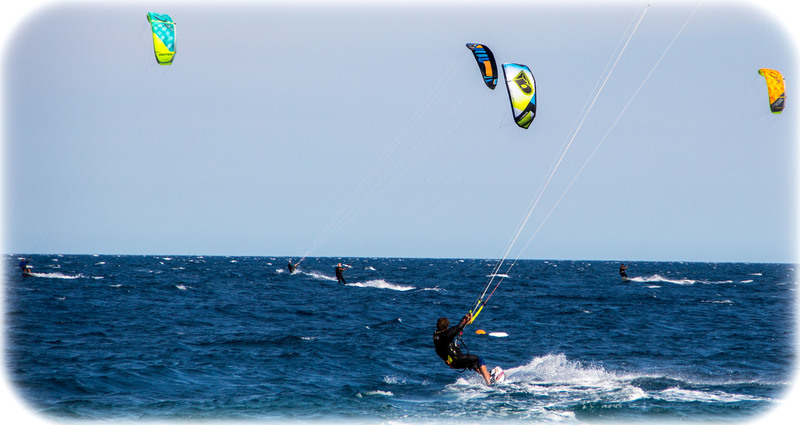 The winter beaches on The Sea of Cortez are very popular with kiteboarders and windsurfers. 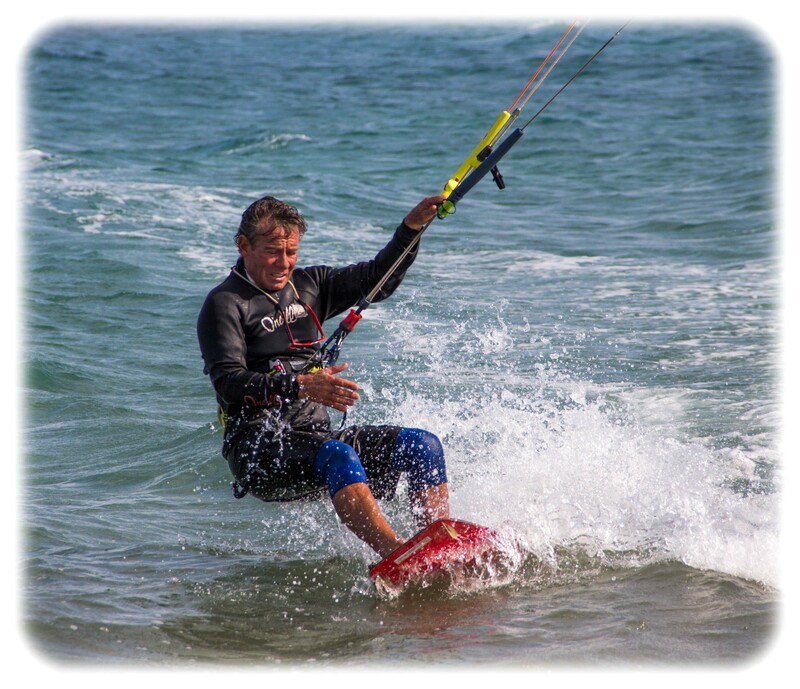 It is amazing to wake up to calm winds, quiet beaches and then about noon the wind jumps up and the beach fills with these incredible athletes. This would happen day after day until suddenly there will be no wind for a few days, then it comes again. While we loved the relaxation of the beach we also ventured off in various directions in our tow car to explore southern Baja. 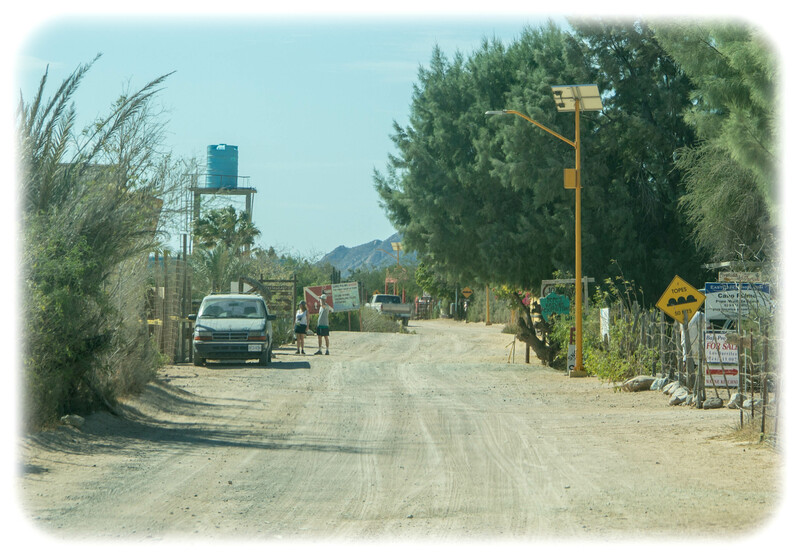 We visited our friends Grant and Arabelle at Cabo Pulmo. 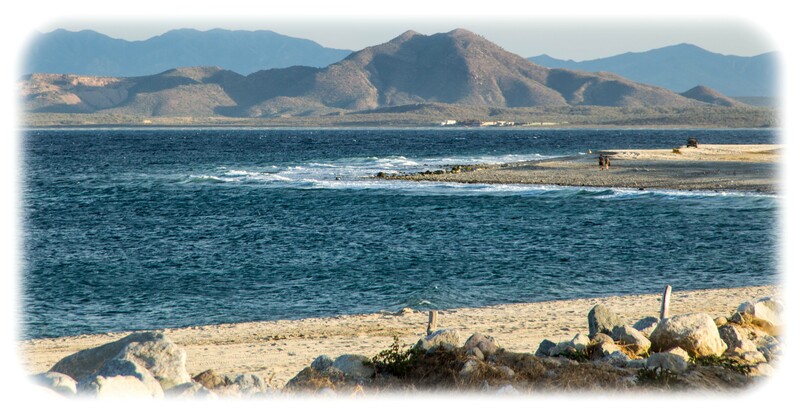 Right at the Tropic of Cancer, Cabo Pulmo is home to a large Marine National Park and a very accessible coral reef. The town itself is on a very dusty washboard dirt road and has only solar power for electricity but very picturesque. 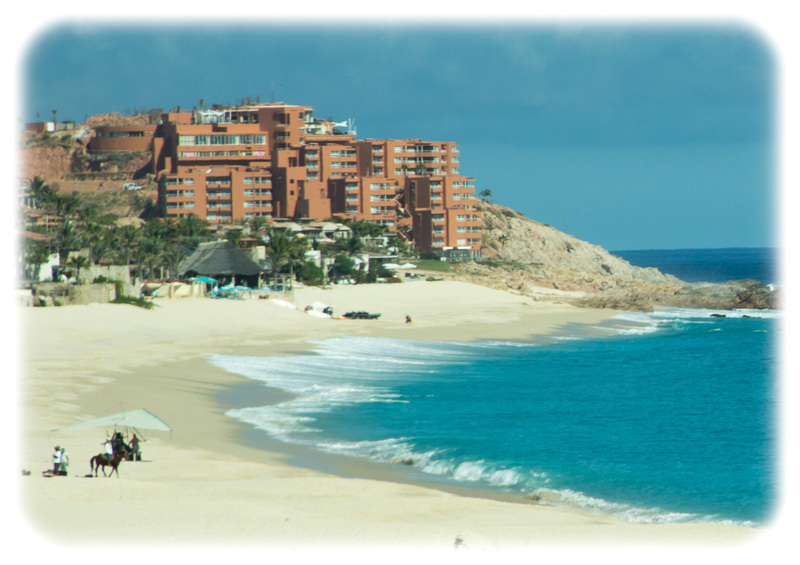 We also made the obligatory trip to Cabo San Lucas and San Jose del Cabo at the southern tip of Baja. The “Corridor” is extremely developed with gated communities and high end resorts cheek to jowl. 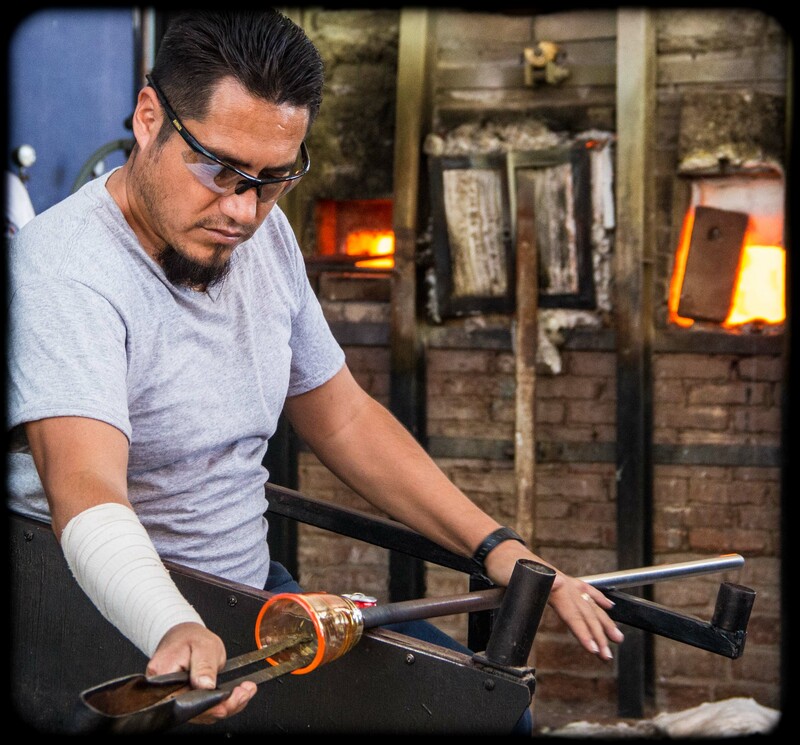 Traffic was hectic as expected but we made the best of it visiting the Glass Factory to view highly skilled glass blowers. We also ate at The Trailer Park Restaurant, a local place recommended in Church’s Guide to Baja Camping. Turns out we learned a new vegan meal. Spagetti with Roasted Poblano Pepper and Corn Sauce garnished with pecans. Delicious. Who knew that spagetti was a popular food in Mexican cuisine. 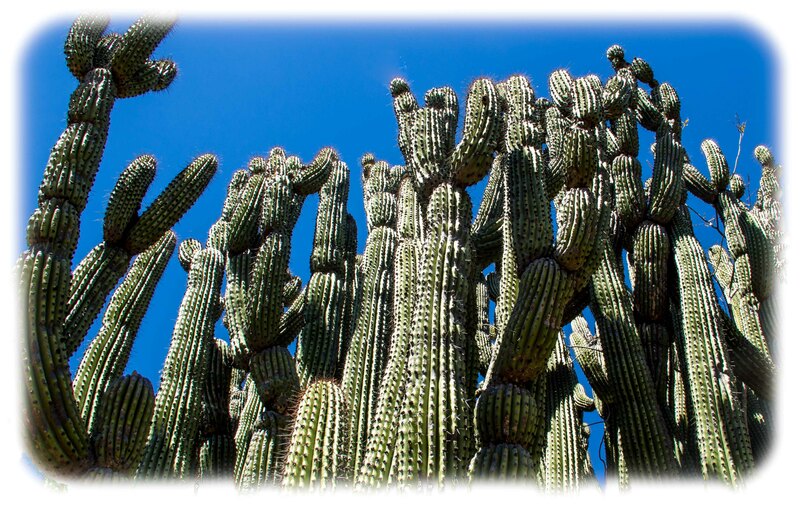 Another day trip from Los Barriles was to the Cactus Sanctuary, San Bartolo and El Triunfo. These were all lcated northeast in the mountains. Our friend Arabelle took a cooking class in San Bartolo and we all had good coffee and local pastries in a beautiful setting. The cactus Sanctuary was a bit of a disappointment. It was not well cared for and the number of varieties was limited. 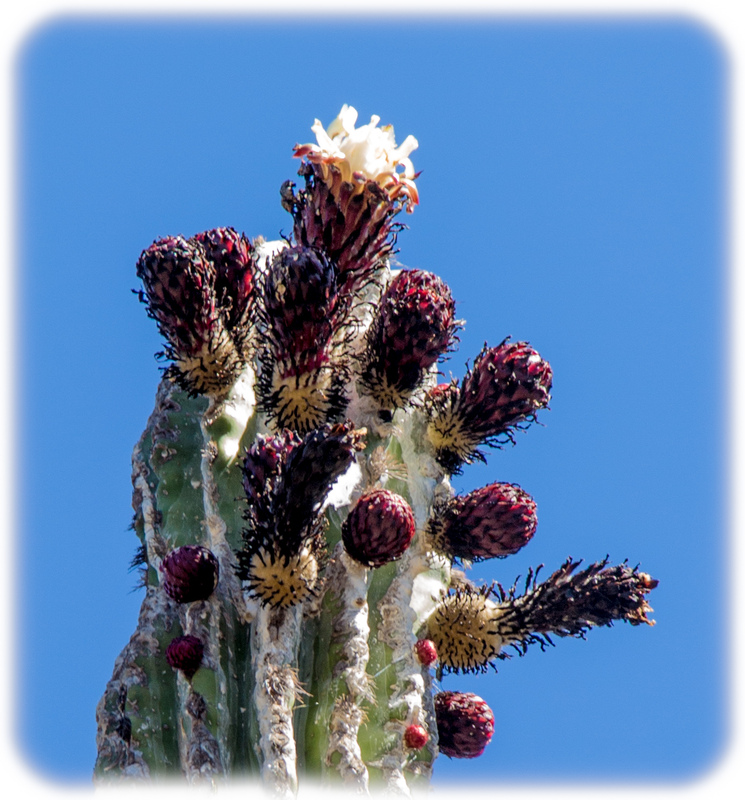 Baja is such a great home for cactus, we expected more. 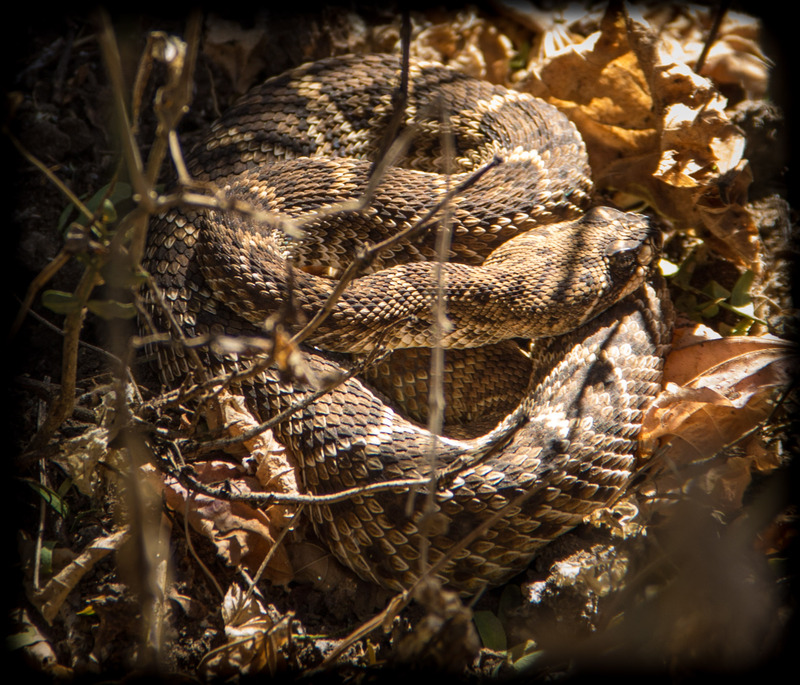 We did have the excitement of finding a rattlesnake just off the trail. 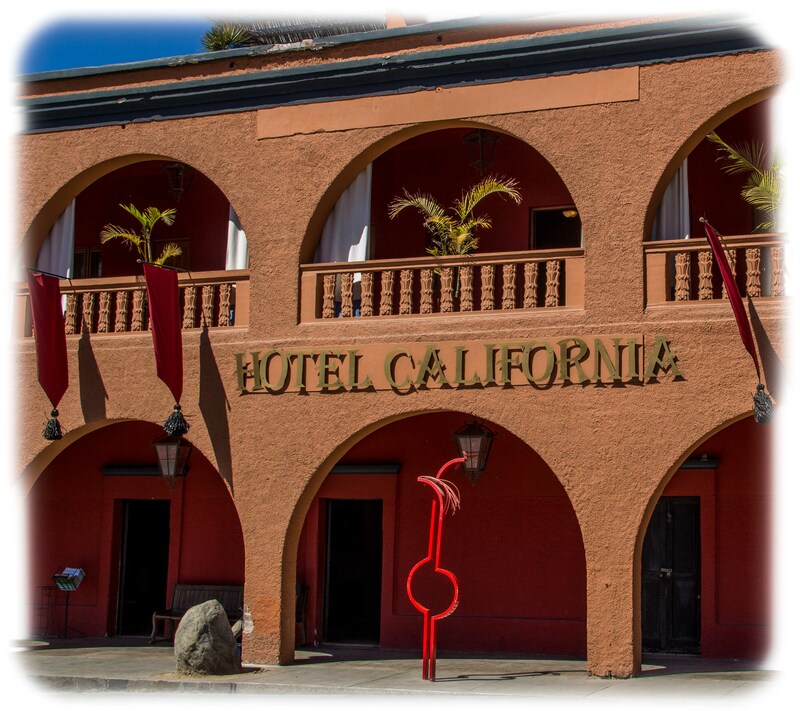 El Triunfo was another sleepy old town that was once the center of a huge silver and gold mining operation with 30,000 people. We enjoyed a fine meal at the cafe. There is a lot of restoration going on in town and we learned that a Wal-Mart heiress is funding much of it. 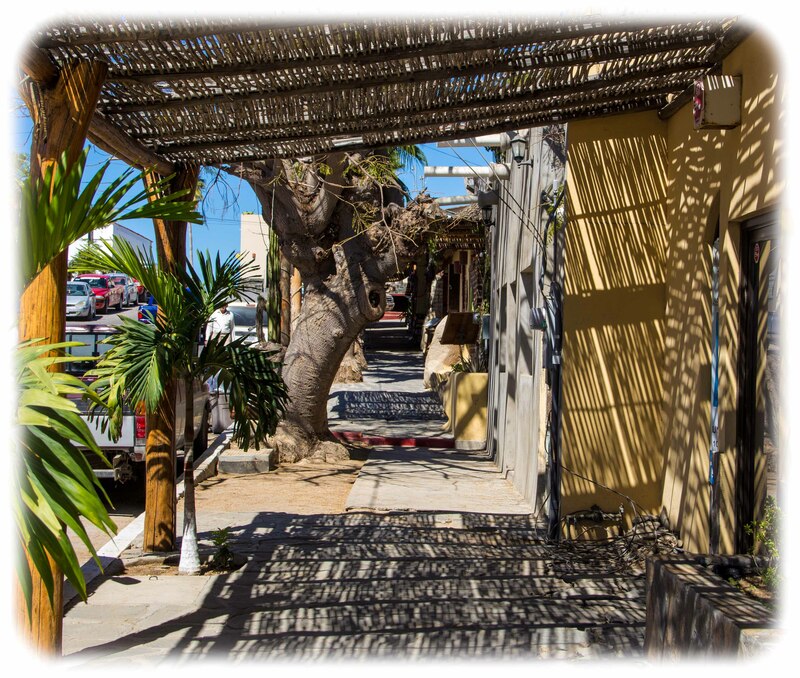 Todos Santos was yet another day trip. 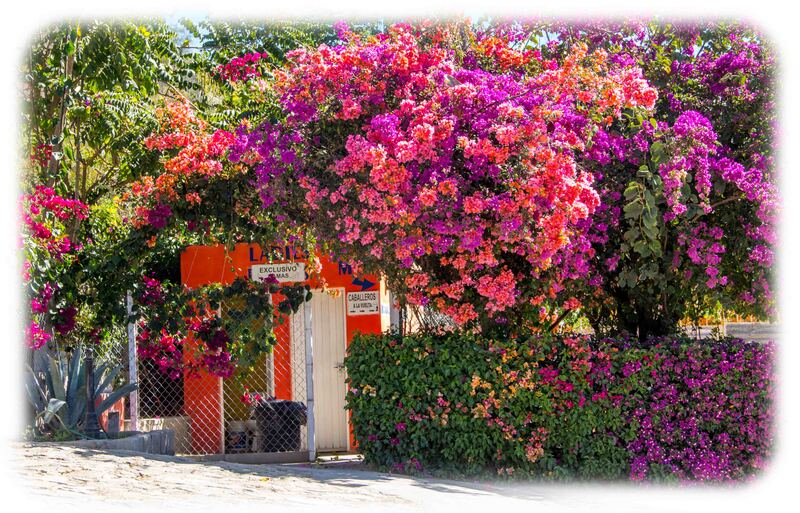 We traveled there via a new expressway bypassing Cabo. Everyone was excited about the new road. 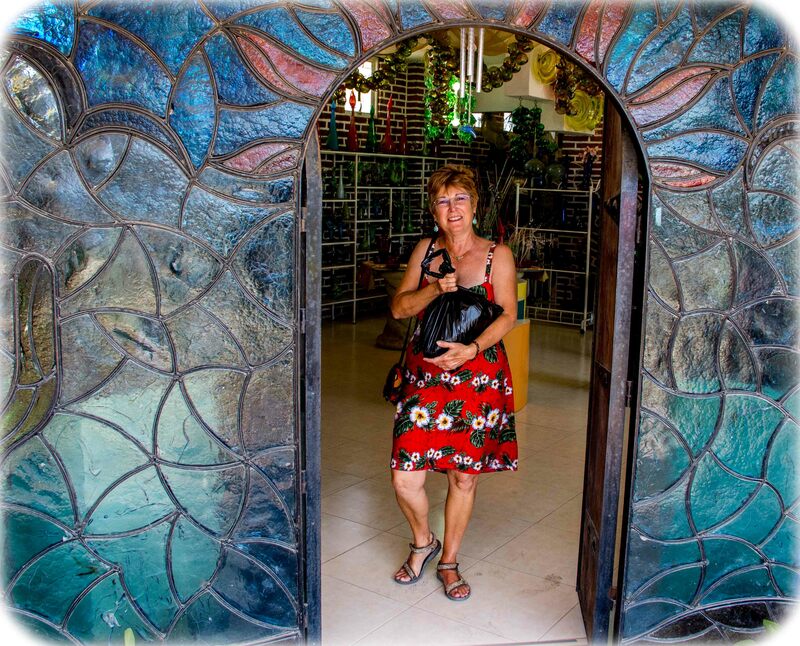 Todos Santos is a very touristic town with classic architecture, gift shops and restaurants. And Hotel California! We ate at a local fish market/cafe and had the best grilled fish and shrimp tacos (a deviation from the strict vegan diet) and drinks for $9.00. 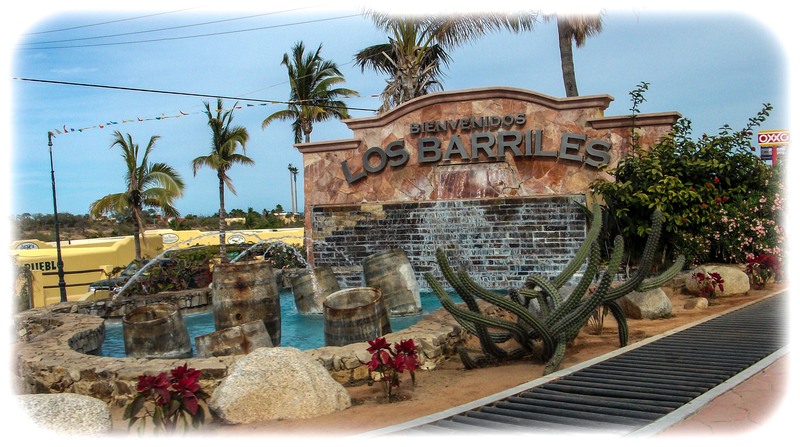 Los Barriles was a great base for us. The town was just the right size with a good mix of snowbirds and locals. We could walk for miles on the beach or just relax at our campsite with a view of the beach. There was a nice mix of restauants, shops and a very good supermarket. They even had a farmers market where we could pickup a huge bag of vegies for $3.88. Like our own CSA. We loved eating the local cuisine. 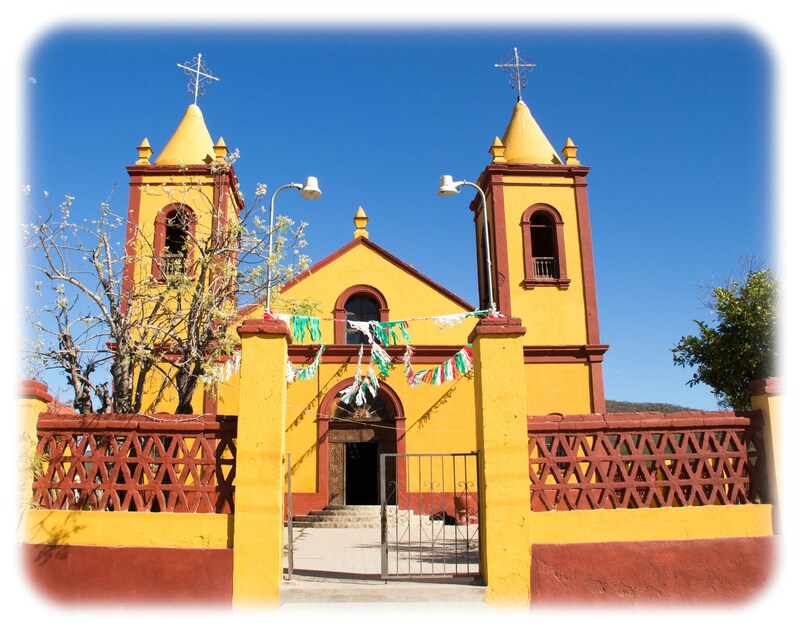 This entry was posted in Mexico, RV Travel and tagged Baja California, beaches, churches, glassblowing, great vegan food, kiteboarding, plants. Bookmark the permalink.